Newcomer Family Obituaries - Kathy L. Lowrie 1950 - 2019 - Newcomer Cremations, Funerals & Receptions. Kathy L. Lowrie, age 68 of Fairborn, OH passed away peacefully on Tuesday, March 19, 2019. She was born on August 13, 1950 in Dayton, Ohio to Robert and Lucy (Harris) Staup. Kathy married Ronald L. Lowrie on February 16, 1971 in Dayton, OH. Kathy enjoyed reading, crocheting, painting and crafts. 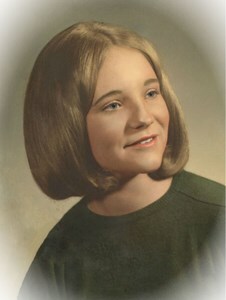 She grew up in Fairborn and graduated from Baker High School in 1968. Kathy loved her family dearly and will be greatly missed by all. Kathy is survived by her husband of 48 years, Ronald; a son, Ronnie S. (Susan Scaggs) Lowrie; a daughter, Michelle R. (Timothy) Cadle; two grandchildren, Olivia Marie Cadle and Sarah Michelle Cole; and other family and friends. She is preceded in death by her parents; three sons, Robert L., Jamie D. and Jeremiah B. Lowrie. A visitation will be held on Monday, March 25, 2019 from 10:00 to 11:00 am at Newcomer Cremations, Funerals & Receptions - Beavercreek Chapel, 3380 Dayton-Xenia Rd., Beavercreek, Ohio 45432. A funeral service will follow the visitation at the funeral home. Burial to follow services at Byron Cemetery. To leave a special memory of Kathy or a message for the family, please click on Share Memories. Add your memories to the guest book of Kathy Lowrie.